This entry was posted on 22 May 2015 at 4:00 pm	and is filed under Solving Blogs. Tagged: Aeschylus, Fast and Loose, Ifor, Prometheus. You can follow any responses to this entry through the RSS 2.0 feed. You can leave a response, or trackback from your own site. Presumably you meant “bound” and “unbound”, the past participles of “bind” and “unbind” rather than the past tense/participle of “bound” and the adjective “unbounded”. Yes, indeed, that just shows how little of those studies remains in my memory! I read “fast and loose” as “first and last”, which while wholly wrong appeared to work pretty well. 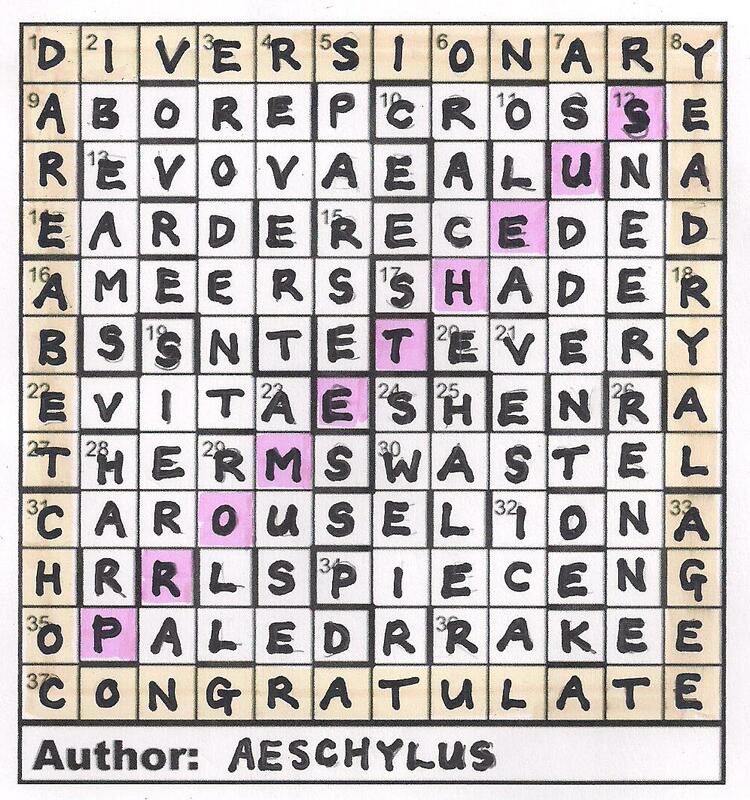 Until I got to the end and wasn’t sure what the heck the final grid was representing. Not enough classics knowledge, it seems! I mean I’ve heard of Aeschylus but not any of his works, or indeed any of Shelley’s poetry for that matter. Thankfully wikipedia is your friend, or something like that. A nice puzzle where for once the final step of writing something under the grid was entirely necessary to show complete understanding of the puzzle. Thanks Ifor.